Atmospheric scientists investigating the possibility that human influences are changing the Earth's climate confront a significant problem - how do we actually detect climate change? 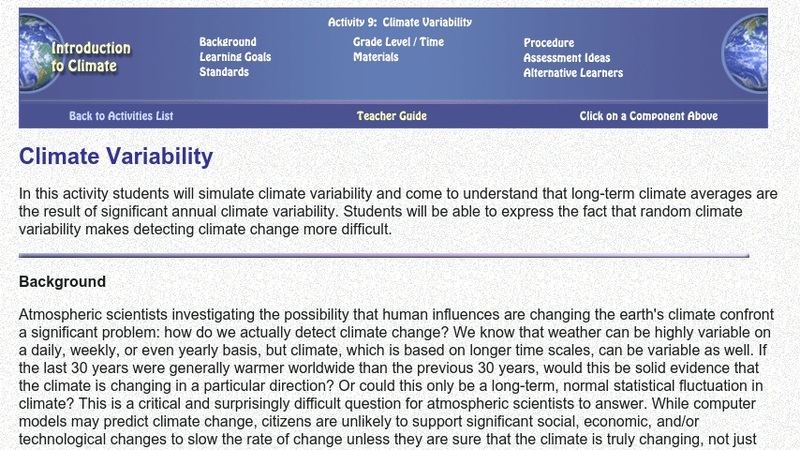 As they participate in this classroom activity, students will develop the understanding that long-term climate averages are the result of significant annual climate variability and that random climate variability makes detecting climate change more difficult. A list of materials, instructions, assessment ideas, and modifications for alternative learners are included.